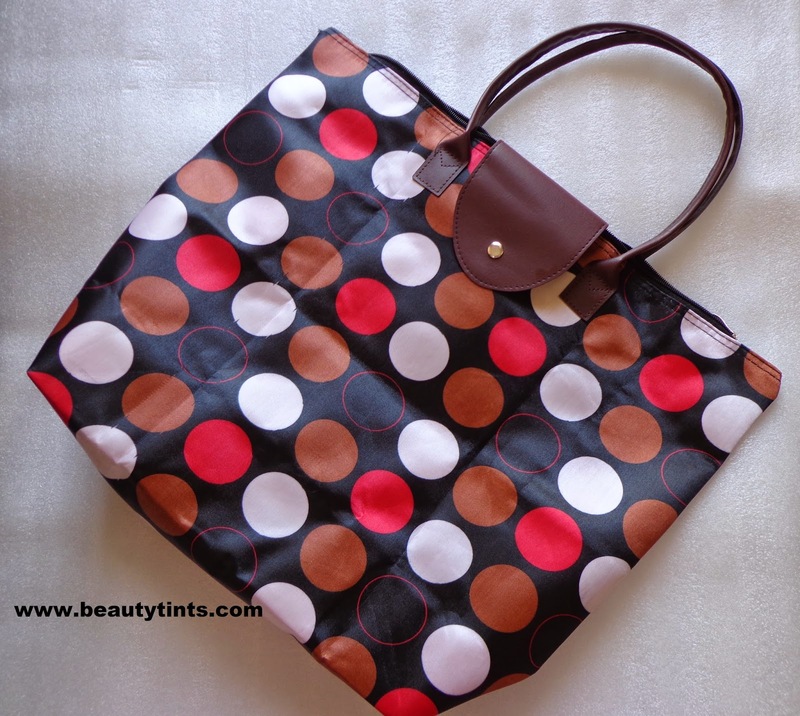 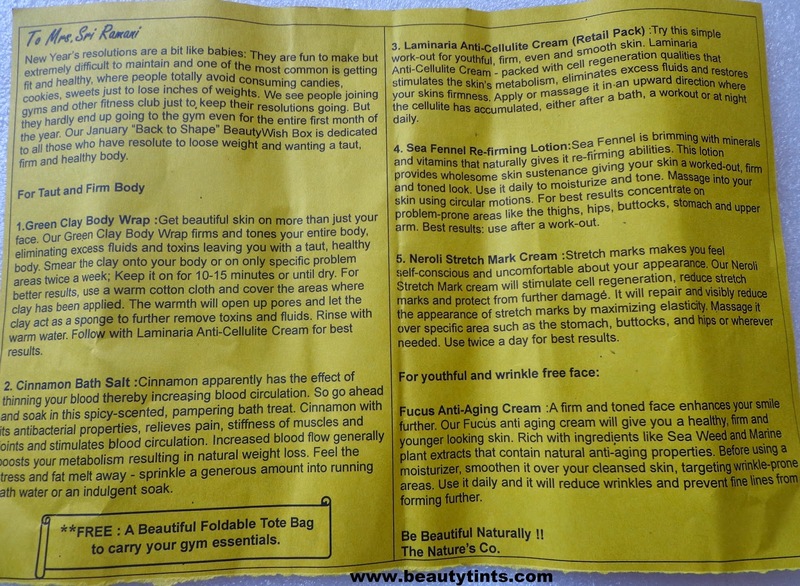 I am super excited to review this Month's The Nature's Co ''Back To Shape'' Beauty Wish Box because it has two surprises.One is the beautiful fold-able Tote bag and other is the Full Sized product.This time all the samples came in a Pretty Black colored Tote Bag. 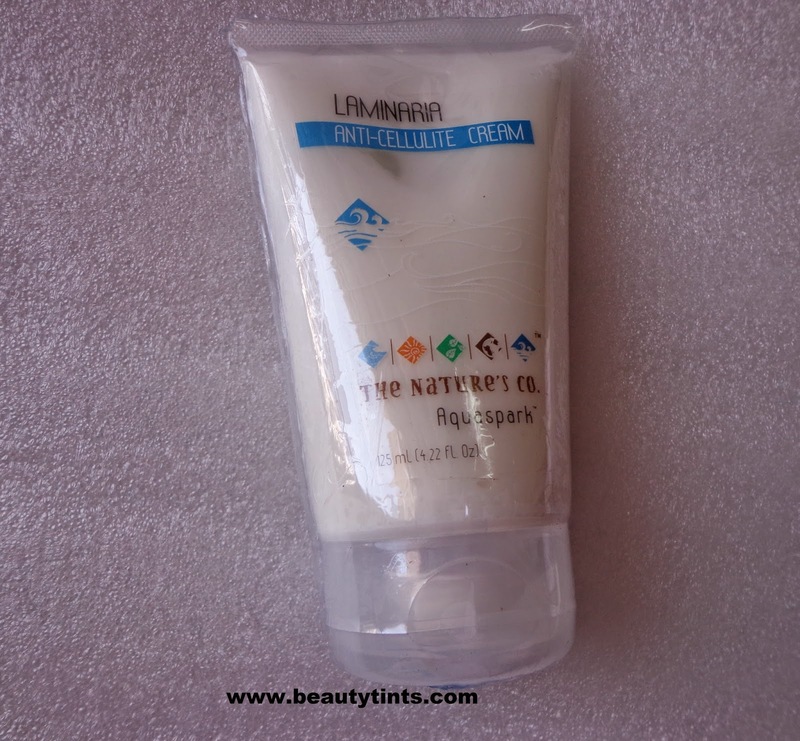 1) Laminaria Anti- Cellulite Cream Full Size(125 ml): I have to attend 2 important weddings and also has our Wedding anniversary next month.So,I am following a strict diet this month and also I am in my second day of my GM diet and luckily I got this Anti-Cellulite Cream in right time to help me further.Moreover it is a full size product which is like a icing on the cake. 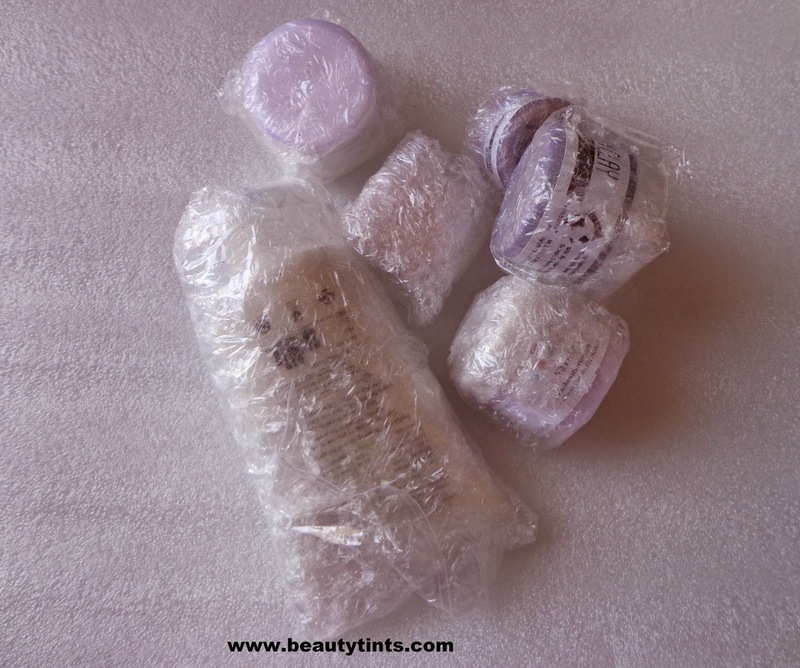 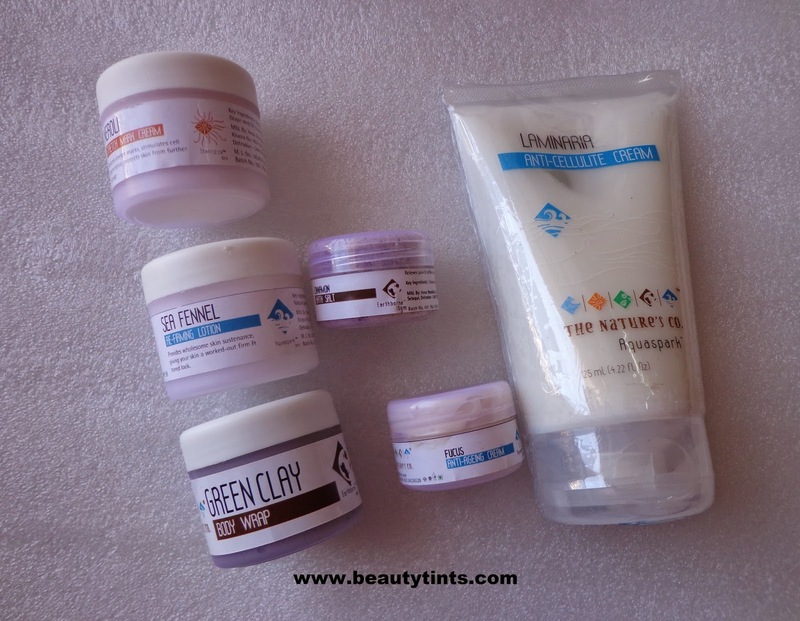 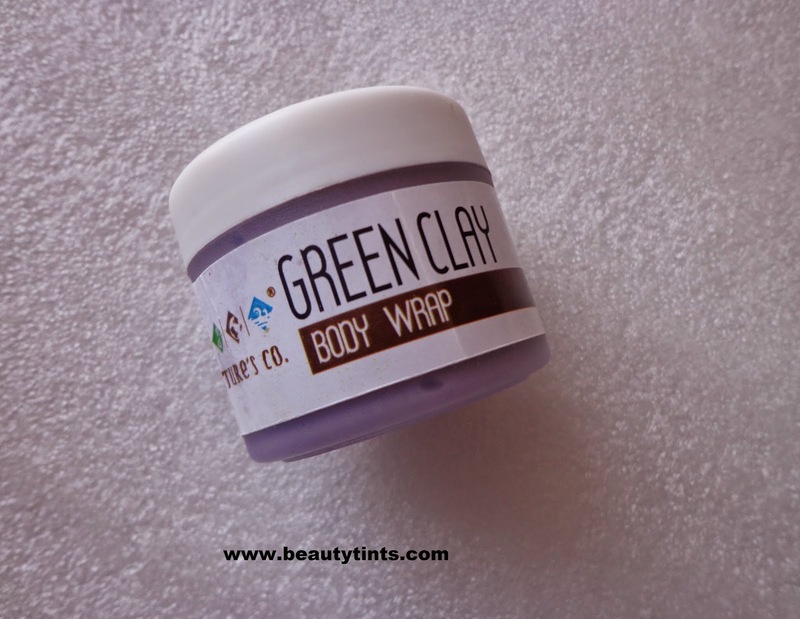 2) Green Clay Body Wrap (35 ml) : I have received this once, before in july 2014 beauty wish box.This has to be used before using the Laminaria Cream.I am excited to try both these products. 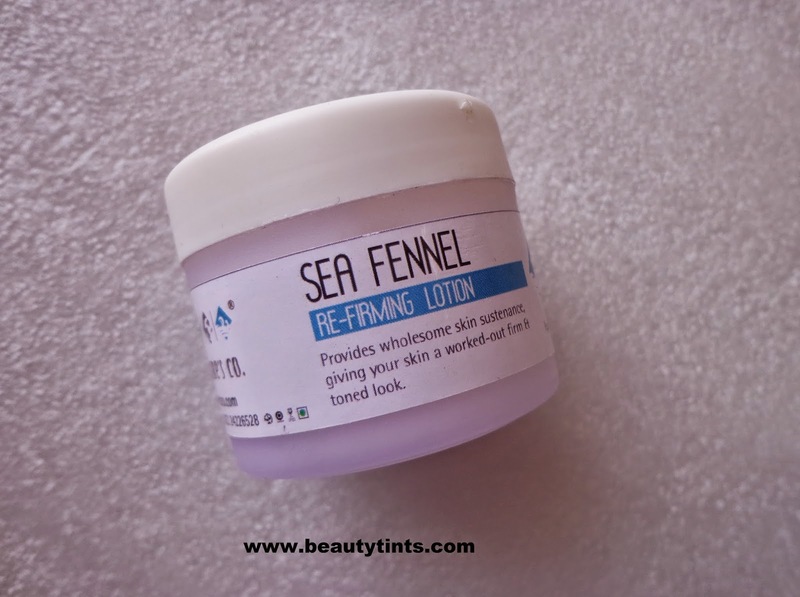 3)Sea Fennel Re-Firming Lotion(35 ml) : One more product that helps in re-firming and toning the skin. 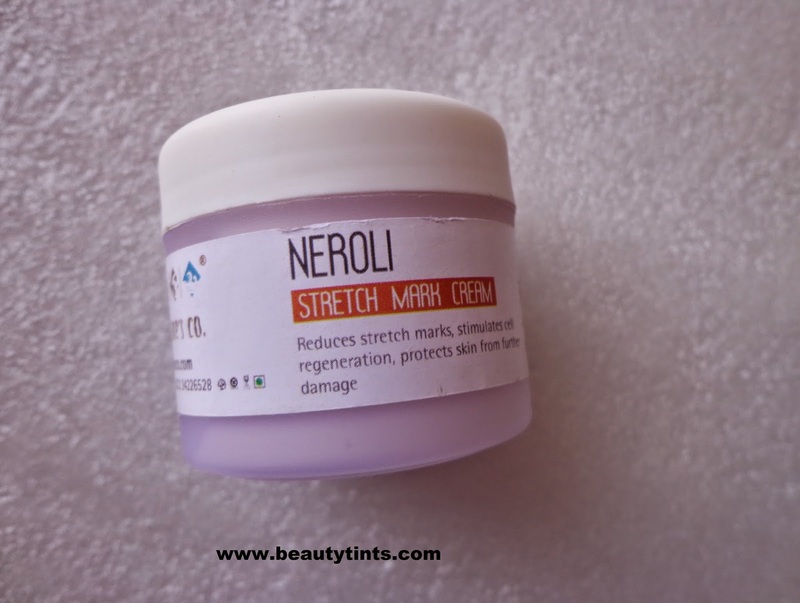 4)Neroli Stretch Mark Cream(35 ml) : Stretch marks are one of the major problems during weight loss and this Neroli Stretch Mark cream helps in reducing the appearance by maximizing elasticity. 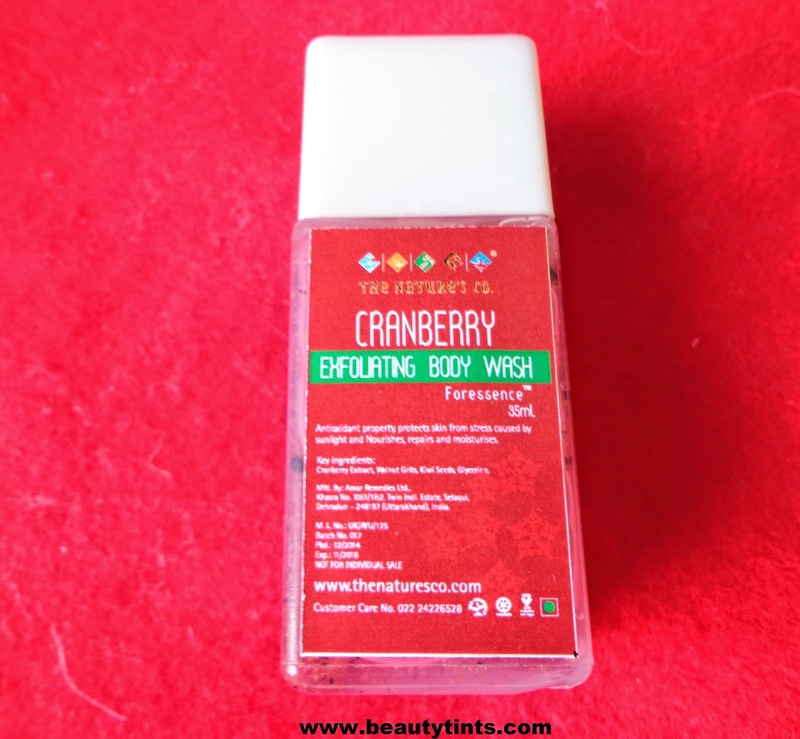 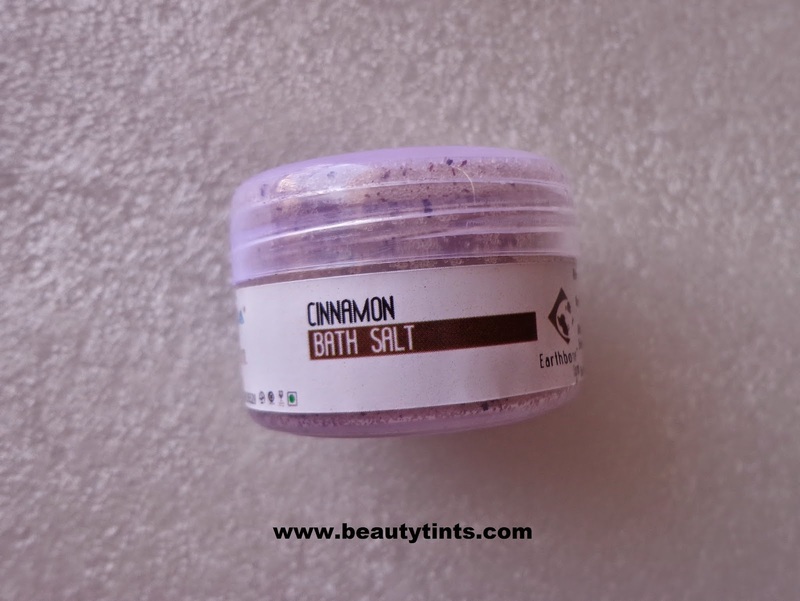 5) Cinnamon Bath Salt (15 gm) : I have received this couple of times before and I really loved its fragrance.I am happy to receive it one more time. 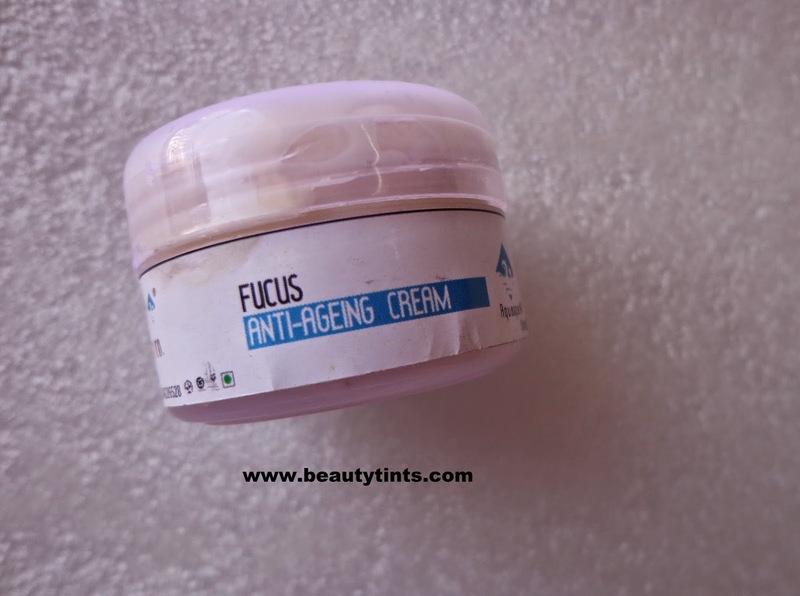 6)Fucus Anti-ageing Cream(15 ml) : A cream which helps in reducing wrinkles and prevents fine lines from forming further. 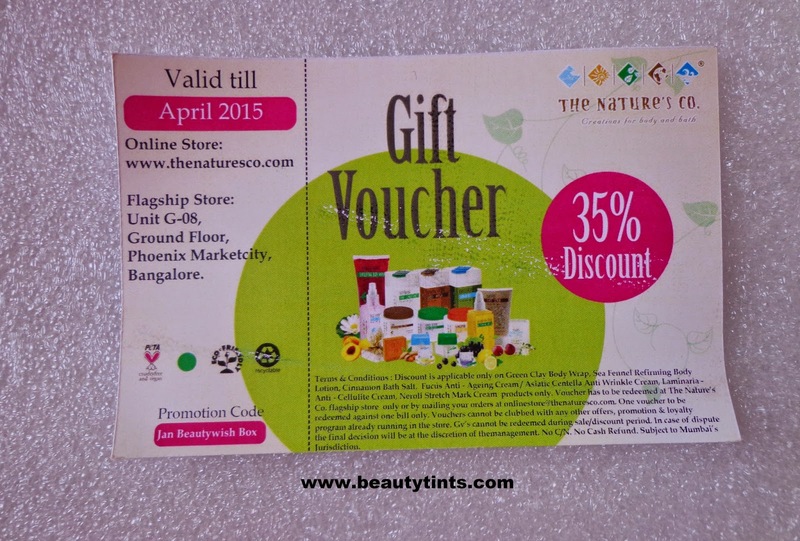 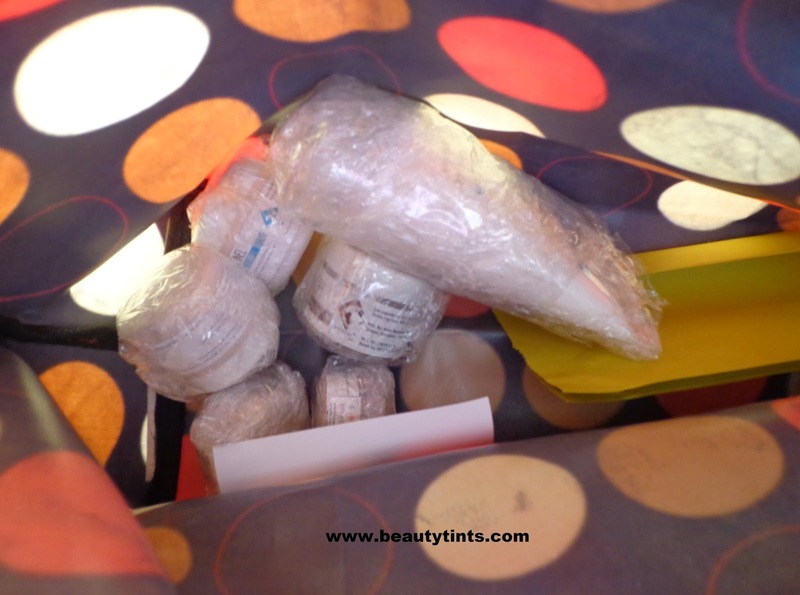 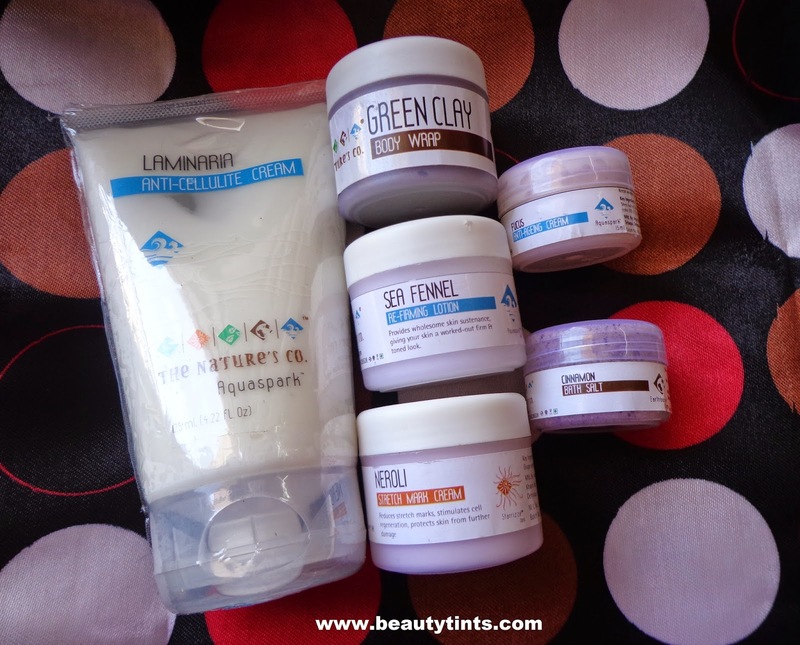 Final Thoughts about The Nature's Co January 2015 ''Back to shape'' Beauty Wish Box: I am double happy with this month's Box as it contained a full size product as well as the cute foldable Tote bag.All the samples are of great use for me right now as I am struggling hard to shed those extra kilos.